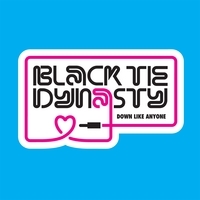 ONLY THE FINEST MUSIC: Black Tie Dynasty-"Down Like Anyone"
Black Tie Dynasty was an American indie rock band from Fort Worth, Texas. The group signed with Idol Records in 2004, releasing their debut-EP the following year. Movements, their first full-length album followed in 2006 on the same label. It featured the single "Tender", which peaked at #8 on the Billboard Hot Dance Singles Sales chart. The group toured with Guided By Voices, VHS or Beta, and Spoon following the release of the album. Their follow-up album Down Like Anyone was released independently on November 29th 2008. The band announced that it would be breaking up via MySpace on Monday, January 27th, 2009. Apparently, they never went through with the breakup. They last performed on October 2nd 2010, at the Granada Theatre in Dallas, TX.